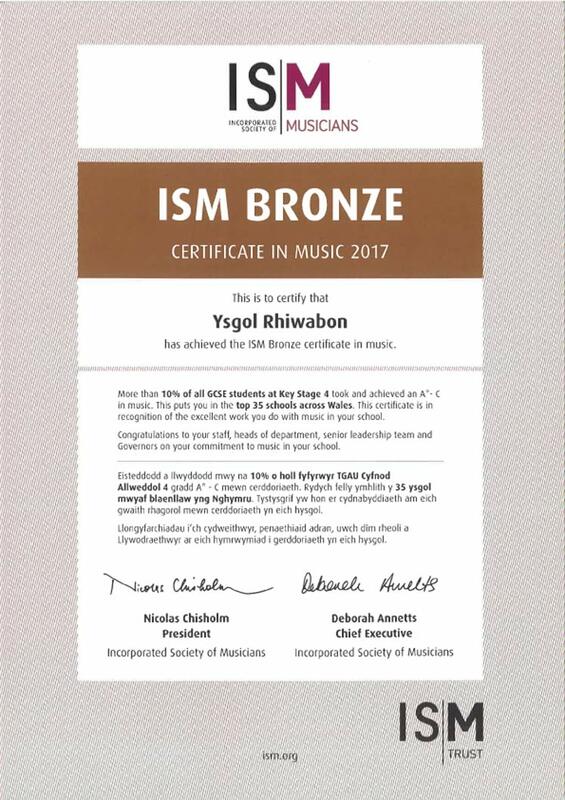 Ysgol Rhiwabon has been awarded a Bronze Certificate by the Incorporated Society of Musicians. The award is in recognition of last year’s excellent results in GCSE Music. More than 10% of our Key Stage 4 students achieved an A*-C grade in GCSE Music. This puts us as one of the top 35 schools across Wales.